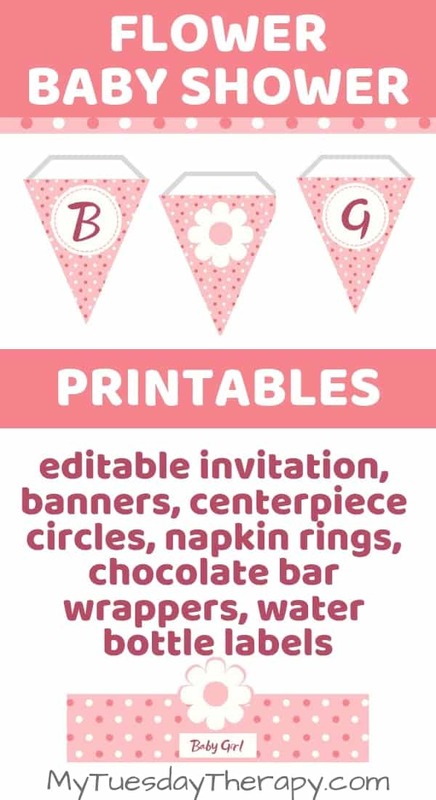 Printables make throwing a baby shower easier. 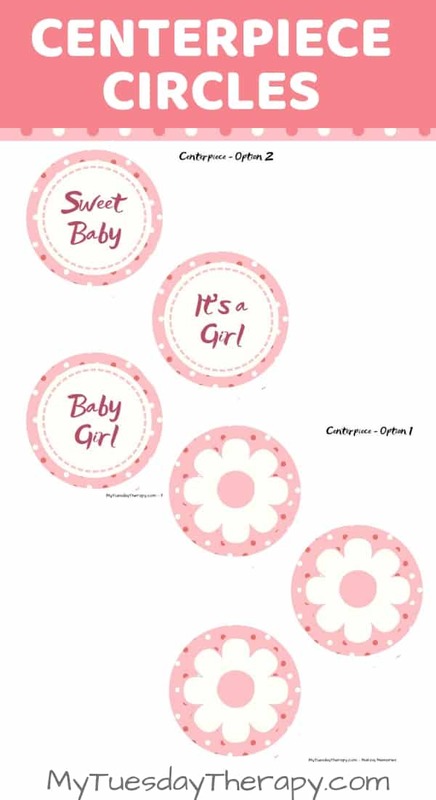 A cute flower theme baby shower for girls with pink and soft white is always a good choice. You can get the whole set for $12. 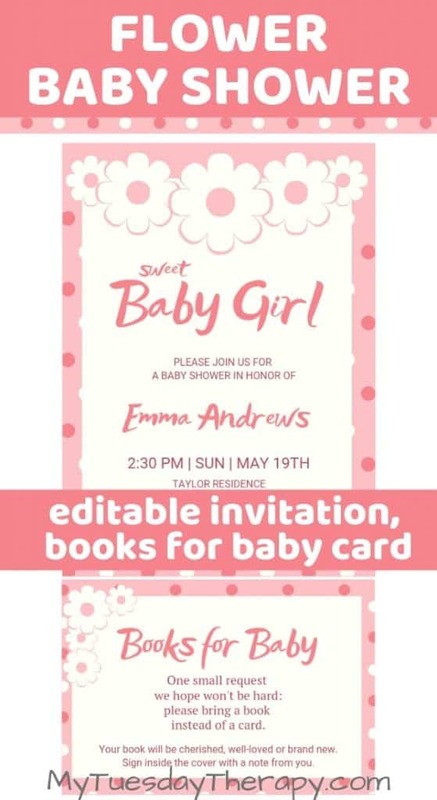 Invite family and friends to the flower baby shower with cute editable invitations. The size is 5×7. You’ll get instructions on how to edit it online free (You do not even need to create an account!). You’ll also get a books for baby card you can send with the invitation. 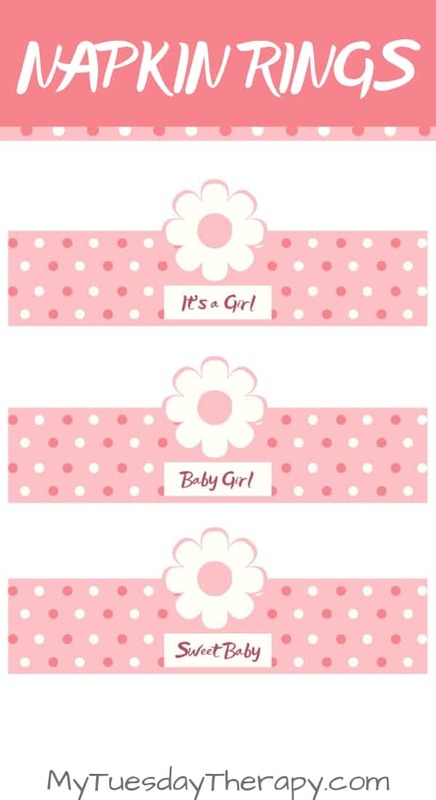 With these banner pennants you can spell: It’s A Girl, Baby Girl, Sweet Baby, Baby Shower. 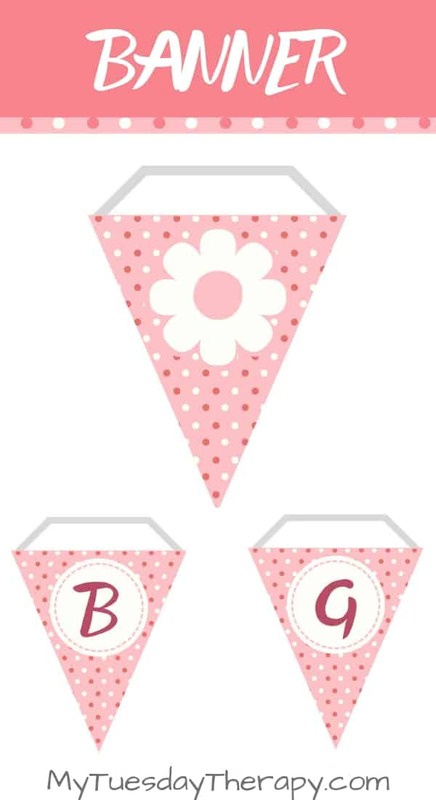 You’ll also get a blank pennant (pink with polkadots) and letter circles if you want your banner to have a little bit different look. 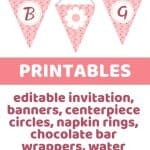 The ready made banner pennants and the cut and glue circles have the letters: i, t,’, s, a, g, i, r, l, w e, b, y, h.
Napkin ring size 7 x 1.5″ (plus the flower). And you’ll get also the cut and glue version so you can add little more dimension to the centerpiece circles. 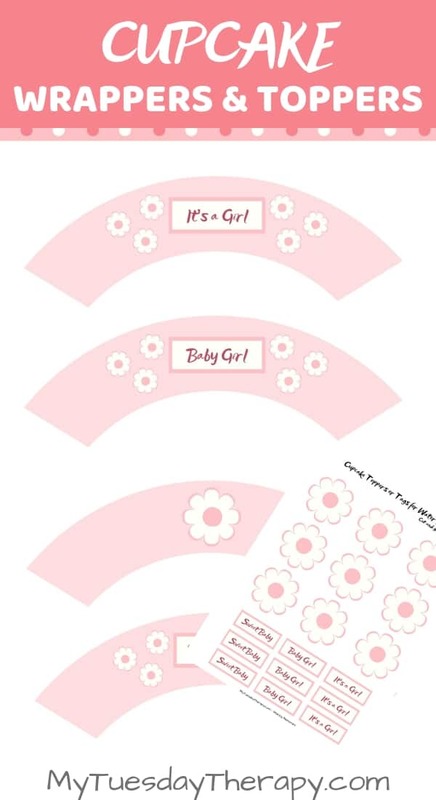 Any cupcake will match this flower baby shower theme when you wrap it with a cute cupcake wrapper. 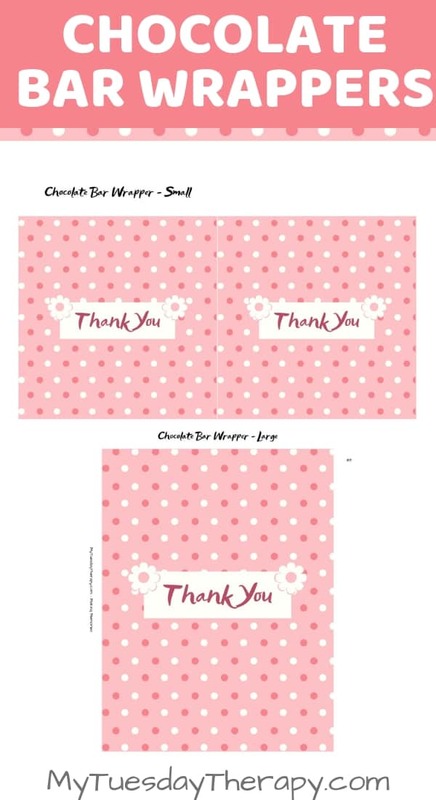 You’ll also get the cut and glue version: blank wrappers (pink with polka dots). The cupcake toppers double as water bottle decorations. 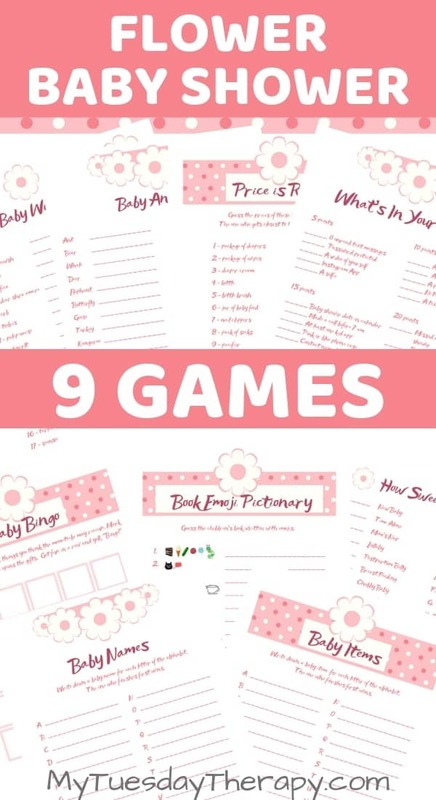 Printable baby shower games are easy, cheap and great ice breakers. Your guests will chat and laugh together while filling out these cute flower themed baby shower games. Would you like to print a sample before buying? Click here. 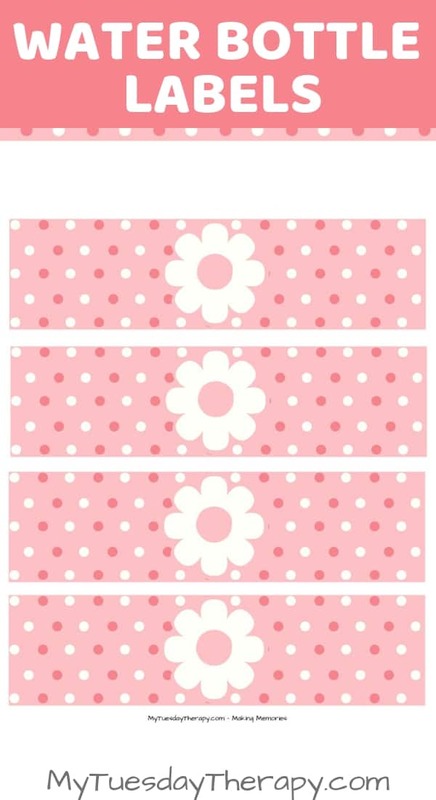 Flower Baby Shower Bundle $12. Click to Buy. Invitation and Decorations 10$. Click to Buy. Games $5. Click to Buy.